Kiwi fruits contain a unique plant antioxidant called actinidin. Actinidin is an enzyme that helps break down protein, making protein more readily absorbed by your muscles, which is especially beneficial after a workout. So adding a kiwi fruit to your post-workout recovery meal, snack or protein shake will help increase protein uptake to your muscles and help you grow lean muscle! Boom! 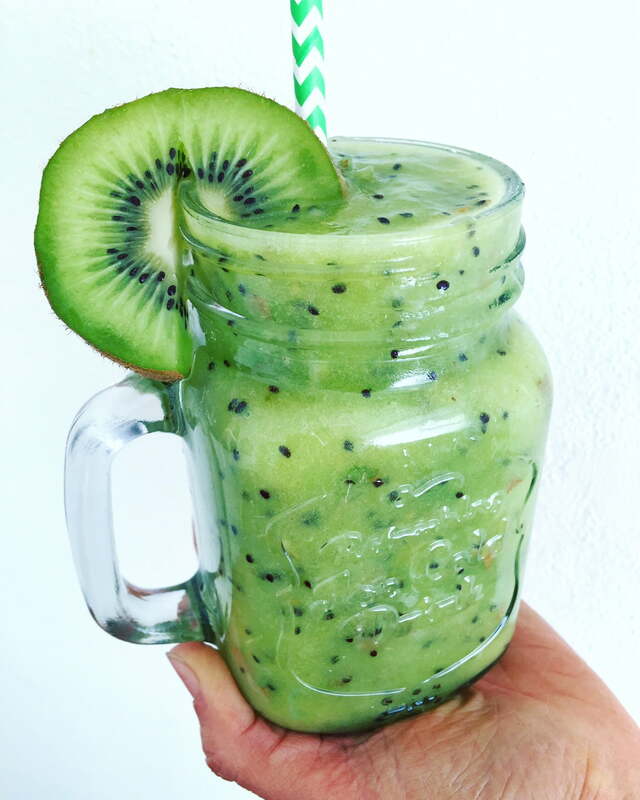 Try this Kiwi Fruit Smoothie for the ultimate post workout snack. 1. Peel banana & wash kiwis. 2. Slice banana & kiwis and freeze. 3. Remove fruit from freeze, place in high speed blender with milk & chia/flax and blend until creamy. Enjoy. Editor’s Note: This is an independent article and all views are my own.